For a new series here on the blog we’re asking you about your Contemporary Florence. Share an image, tell us about place, a person, or a conversation you overheard on the street. It doesn’t matter what it is—show us something that illustrates the city as you see it in this moment, from your point of view. 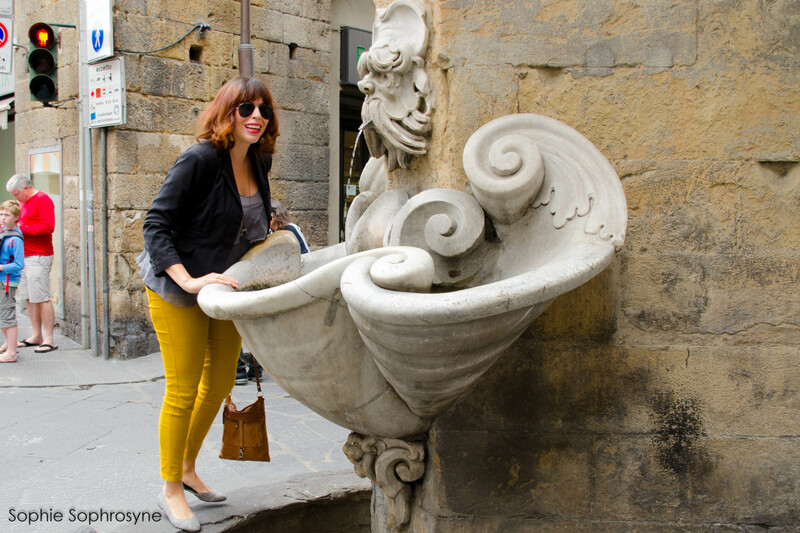 Our first contributor is Georgette Jupe from Girl in Florence. A regular on the Florence blogger scene, she approaches the question from an angle we all love—food! For those of us who call Florence our home, we are used to feeling lucky. Traipsing daily through the cobblestone streets in the cradle of the Renaissance would likely put a smile on anyone’s face, unless you step in dog poop. Forget what you hear about Florentines and their inward, closed behavior and peer beyond the obvious to see just how much life has breathed in a place well-known for stubbornly resisting change. Now, there are a plethora of interesting and newly-opened design-focused eateries and craft beer locales buzzing with people on any given night. What impresses people like me who have called this city our home for a number of years, is how quickly everything is changing. It feels as if every third Tuesday we are gifted a new hotspot to rest our feet in places like the artisan coffee bar Ditta Artigianale where you can get an iced almond milk latte or better yet, a ‘flat white’ at the brand new Berberè pizzeria, nestled in the charming Piazza Nerli–the kind of place where people ask you what sort of flour you want used for your pizza. The evolution of Florence isn’t over anytime soon. Now that Georgette has our attention (and has made us really want a latte), we want to dig a little more into her sense of how the culinary world is evolving here, and what that might suggest about life in contemporary Florence as a whole. 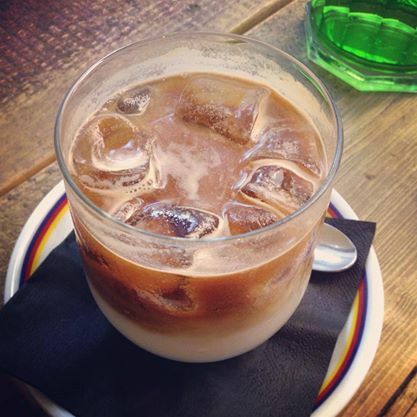 Creative People: What does being able to order an almond milk latte tell us about the changing coffee bar scene here? 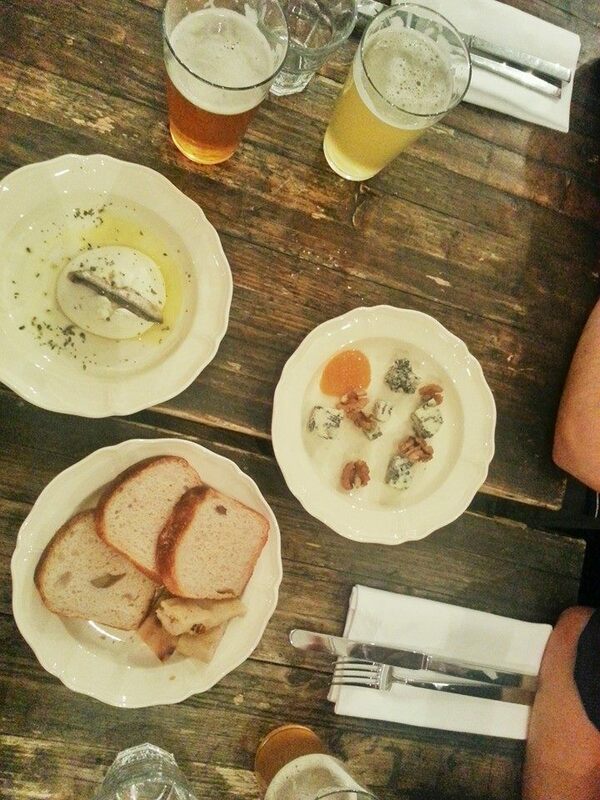 Do you think Ditta Artigianale is popular with ex-pats for the same reason it’s popular with locals? Georgette: I think that the simple act of even having almond milk in a city as stubborn to change as Florence means a lot. And it’s not just the foreigners that are ordering it. I personally feel that Florence is opening itself a little more to the wants of outsiders partly because more of its citizens have traveled the world, come back and opened places based on their experiences, like Ditta. As for why it is popular, it’s simply because it happens to have quality food/drink and at a good price. Expats are always looking for cool new places to just have a chat really, and Ditta fills that gap in a central location. Locals on the other hand normally stick to their trusted die-hard places, though more and more Fiorentini I personally know have gone and enjoyed Ditta. Their coffee and ambiance is wonderful. CP: This sort of artisan beer/fancy pizza place, like Berberè, is a trend that’s pretty new to Florence, and we’re seeing more and more of it. How does this reflect the dining interests of contemporary Florentines, as well as contemporary tourist and expat crowds? G: I think all of us (Fiorentini, expats and tourists) are all looking for the same thing, a new cool twist on traditional delights. Craft beer has really become popular in Italy and you can find local brews all over the city, they even are featured at some local food festivals. While perhaps the traveler of the past looked for 100% authentic (and don’t get me wrong, there is still plenty of that if you veer a little further from the touristy streets of the center), I think now there is a much bigger ‘foodie culture’ where design and quality ingredients are taking a bigger part of the center stage. Also the concept of ‘pizza & beer’ is still a dinner option that’s largely affordable to most people, now they just take this idea up a notch. CP: Do you think these new food trends say something about the changing culture of Florence, not just as it pertains to dining, but to the wider interests and desires of the residents and the people passing through? G: Yes I really do, I think people are looking for more than just your ‘typical’ Italian experience. They want to see something new, something hip, and feel part of the crowd. I think we are all very excited to see how much Florence is growing; so many new businesses are popping up every day, which is a breath of fresh air in the very slow Italian economy. People are coming for the second, third or fourth time to Florence and they want to experience something new. I also think locals are more influenced by the changing world outside of Italy and that also reflects in how they do business. You often see an emphasis on true ‘made in Italy’ quality, using local ingredients but with a design element that is not only Italian, but instead could be at home in big cities like Berlin or New York. CP: Thanks, Georgette! Before we wrap up, tell us a little more about yourself and your blog. G: I would definitely call myself an American social media strategist, a social ’Tuscan Texan’, blogger of Girl in Florence, and freelance writer/dreamer. After studying abroad in Florence for one year in 2005, I found my way back here where I have since worked for several online publications, print magazines and as the community manager at Italy Magazine. Girl in Florence is about sharing my life based on the perspective of wanting to showcase what people might not know about the city. I write about the best local events each month, insider tips, foodie hotspots, cultural and life reflections and also an ever-growing travel tips section. People who read my blog are interested in a more ‘behind-the-scenes’ look at Italy and continental Europe with some handy advice about how to survive all the chaos in between. Endless curiosity is my drug of choice. 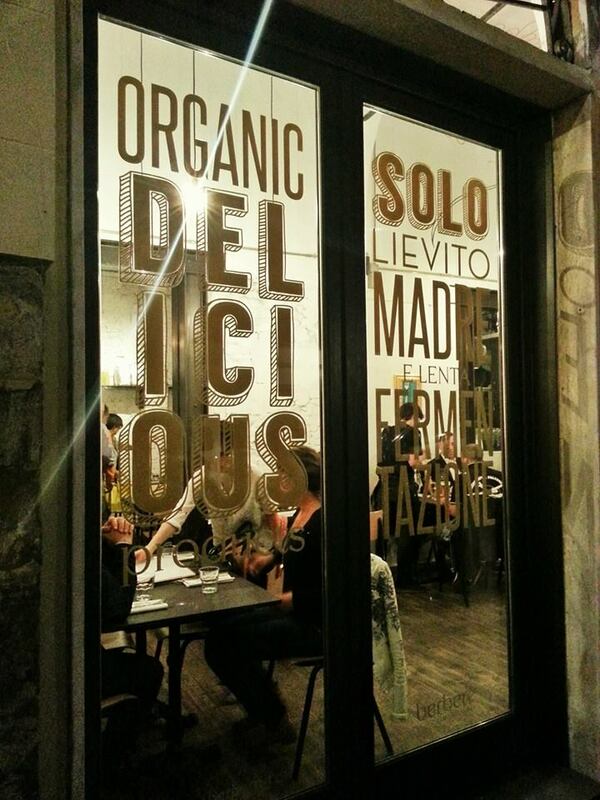 Is there more to the story of contemporary dining in Florence? Tell us what you think in the comments or contact us.